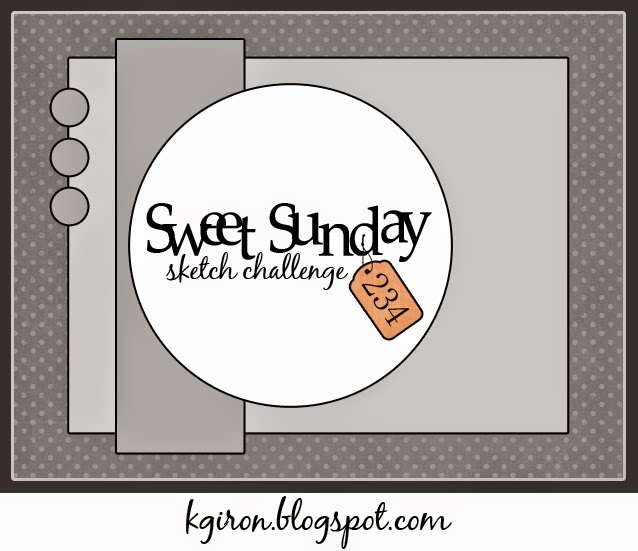 This sketch was a challenge on the sweetest thing blog for their Sweet Sunday Challenge. I love the name! I also entered it in the Aud Sentiments Challenge of anything other than a birthday sentiment. I needed some Scrappy Therapy time to retain my sanity in the nutty week! So I grabbed the bag of scraps from making my display board cards and started playing! Believe it or not, I chose the base paper from Seaside and the layer on top of the Chocolate layer from Pathfinding! It was unusual for me to pick two papers so close in color and in such different paper packs but with the Chocolate in between it worked for me! The polka dot is also from Seaside! I played with a Chocolate circle and a Kraft circle and finally just tossed out an actual circle and went with three flowers that made a circle! 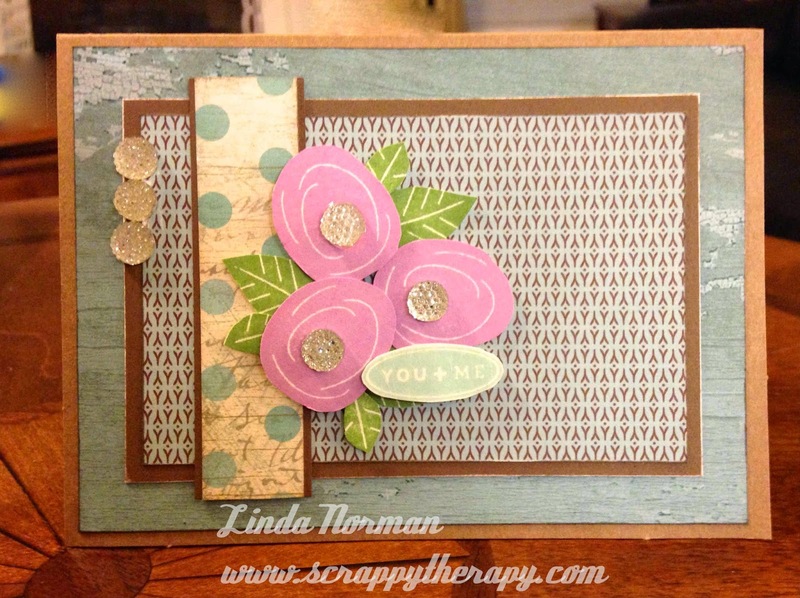 The flowers are stamped with our new color, Thistle and the Have a Happy Day stamp set. 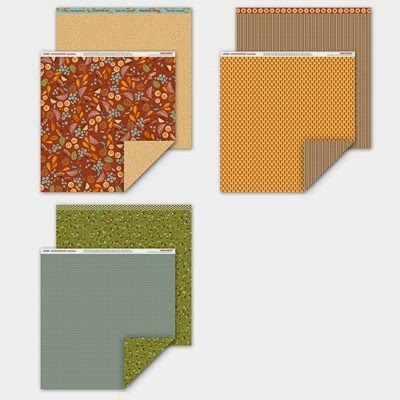 I used retired bling that is very similar to our Bling Gems Gold Assortment but mine have a silver backing! 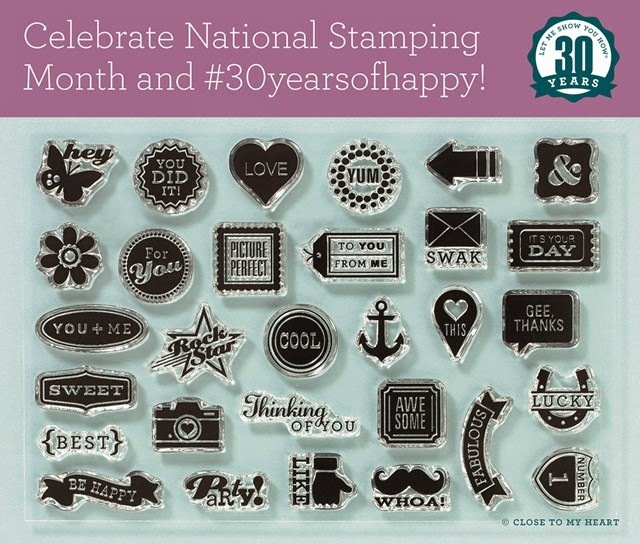 The sentiment, stamped in Glacier which is another new color, comes from the #30yearsofhappy stamp set for National Stamping Month! You can get yours FREE by ordering $30 of stamps! Order yours now by clicking on the Shop Now Icon below! 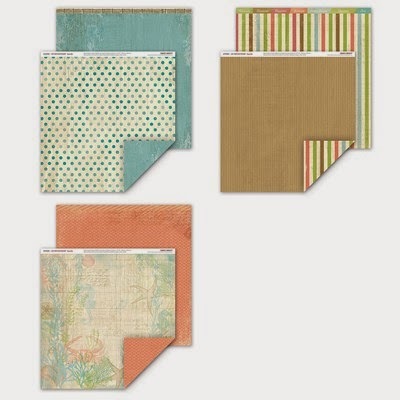 I like your layering Linda - a very nice design! Thank you for sharing your project & creativity with us!